New York City college students spotted the First Lady and First Daughter touring New York University, Columbia College and Barnard College. Could the First Daughter be on her way to NYC? 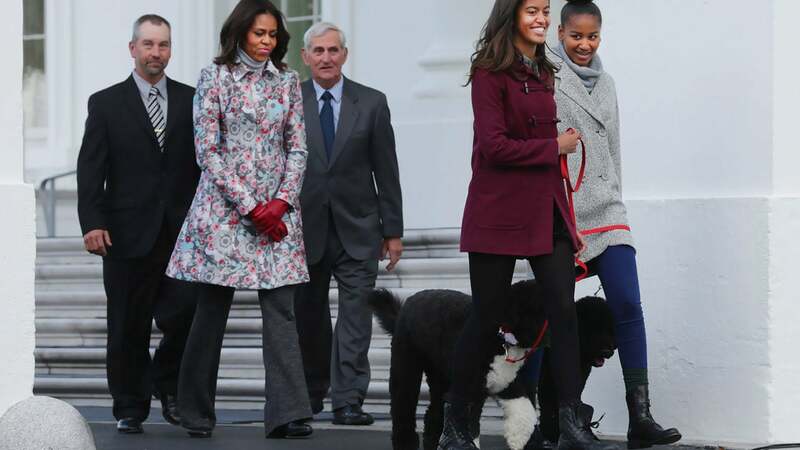 Eye witnesses spotted Malia Obama scouting New York City colleges with First Lady Michelle Obama yesterday morning, reports New York University blog, NYUlocal. The duo stopped by NYU before making their way uptown to Columbia University and Barnard College. Their presence was confirmed by an anonymous NYU tipster, who accidentally stepped in the elevator with the First Daughter, First Lady and droves of Secret Service agents who were accompanying them. “Apparently everyone was told that the elevators were ‘shut down’ for the 10 minutes they were in the building… but I knew the truth!” said the student to the blog. From there, the mother and daughter were seen lunching at a popular eatery near Columbia University, which, of course, was captured on social media. Malia, who reportedly wants to be a filmmaker, was spotted last year touring Stanford University and the University of California-Berkeley. Which coast do you think the high school junior will pick?